Aside from being beautiful, wood is also a better insulator than glass, and helps to keep cocktails chilled longer. The wooden pieces are joined by a lightweight, powder-coated aluminum stem. 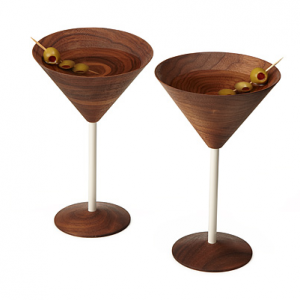 Makes a gorgeous gift for the drink connoisseur.